The BJP, on its own, had nearly 274 seats and with support assured from the SAD and the JD(U), there was hardly any doubt on the outcome of the confidence vote. As we had predicted on Thursday, the No-Confidence vote against the Modi government was a non-starter to begin with. The BJP, on its own, had nearly 274 seats and with support assured from the SAD and the JD(U), there was hardly any doubt on the outcome of the confidence vote. In the final analysis, the AIADMK, which is still trying to find its feet after the demise of Jayalalitha, also voted in favor of the BJP. This boosted the BJP tally to 325. In the absence of any suspense surrounding the outcome of the vote, political parties resorted to some smart electioneering ahead of the big match in 2019. If there was one big surprise for the BJP government, it Shiv Sena chief Uddhav Thackeray’s decision to stay away from the vote. This was surprising considering that the Shiv Sena had pledged to support the NDA government during the vote after Amit Shah had gone out of his way to woo the party. It only reinforces the fact that the Shiv Sena was keeping all options open ahead of the 2019 polls. As expected, the TRS and the BJD preferred to sit on the fence, and in the process, reduced the total number of members in the Lok Sabha and proportionately reduced the half-way mark. SAD, after its pathetic performance, in the Punjab elections and the JD(U), after its consistent oscillations, really did not have much of a choice in front of them. One thing is sure that this surely opens up the prospects for interesting equations in the 2019 general elections. The leader of the Opposition -- Rahul Gandhi -- must have gained a few brownie points with his frontal attack of the policies of the current government. While his subsequent courtesies to PM Modi must have endeared him to viewers, his sardonic wink hardly went down well with the people of India. Add to that, his flip-flops on the issue of a secrecy pact with the French government also ended up showing him as badly prepared ahead of an all-important debate. He obviously needs to work on these areas if he fancies his chances of leading the Opposition’s charge in the 2019 elections. The BJP attack in response was equally acerbic and was backed by a lot more of facts and data compared to the Opposition. However, the ruling NDA may have missed out on two fronts. Firstly, the BJP chose to respond to the allegations of the Opposition rather than set its own agenda for the debate. Secondly, for a party known to have its finger on the pulse of the people, the BJP could have used the debate to address some of the pressing questions in the minds of people like jobs, growth, inflation, farm distress etc. While the BJP response was rich in rhetoric, they could have actually addressed pressing issues on this platform. How could the markets react next week? · If the sharp bounce in the Nifty to close above the 11,000-mark on Friday was any indication, the market has shown a preference to carry long positions over the weekend. The vote has almost become a non-event and markets have moved on to more pressing fundamental issues facing the markets like inflation, rupee value, trade wars, and growth. · Markets are now more likely to ignore the trust vote and get back to other political triggers like the Rajasthan state elections as well as the Madhya Pradesh and Chhattisgarh elections. That would, perhaps, give a better picture of the emerging equations in the 2019 general elections. 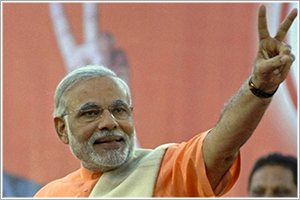 · Despite the win, the BJP has some points to worry about. They have lost two important allies in the last one year -- TDP and PDP -- and the reaction of Shiv Sena is only an indication that there are few parties that the BJP can count on in the coming elections. Also, the SAD and JD(U) may be sticking with the ruling party more out of opportunism than out of any synergy or culture fit. That is something the markets will be frantically watching and the BJP will have to move really fast and serious on that front. · The markets have not received the answers to their core question as to whether there will be a multi-party coalition government in 2019 and the future of the reforms process. That is a question that will, perhaps, get answered as more state election results start coming out in the next few months.